Monsters, but I saw smaller fish there too. That's good news. You guys tangle with one of those giants? For the smaller class of fish, what level of gear would I be looking at to chase them? And what style of fishing is it? I’ve got bass conventional gear and was considering a ZX25 on a short stout spinning rod as well. I’m really really trying to avoid finding a fish that makes me go that route. While I’m sure the larger class of gear is in my future at some point, I have no interest in gauging my wife’s reaction to me coming home with a small car’s value in gear with a second child on the way. Just remember...your momma and dad did the same thing...or you wouldn't be here to fish at all! If they ever get close I would love to have you join Ian. Great gear is important for these uncompromising beasts. I will never turn the opportunity down, especially while I’m already out there and off work for 2 weeks. Thanks for the offer! Lots of trips out with no love. Hoping to go deep on Monday! Nice Chris perfect day for. 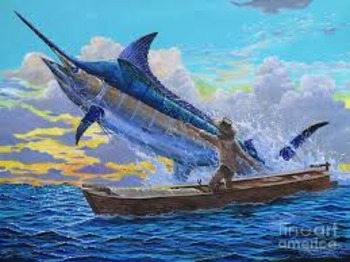 I'm wishing there was some decent rec size tuna around to blow off bass fishing for a bit. Im waiting for the same thing. Took my boat to Atlantis today for the first time. That is a great trip where you can catch just about anything. Last edited by RIROCKHOUND; 08-07-2018 at 07:15 AM..
its about time, how many gallons did u burn?